They are just so gorgeous, Jo! Truly Sunday best! These are so lovely...as a child I used to picture each rose as a fairy's 'ballgown'. These photos remind of why. How lovely. 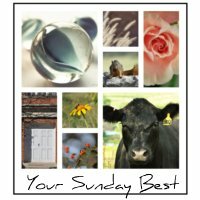 Thanks so much for sharing at Your Sunday Best this week. Beautiful! The last one is my favorite.